Finally! I&apos;m going home. But something shocked me. By the time that I got home everybody changed moods. “What happen in here?" I asked shockingly.“Nothing,"Chris lied.“Your face? What happened?" I asked.“I fell over," Chris lied.“I brought some pizza," I said. “I can&apos;t wait to eat. Can you guys hang out a little more? Please,"Catherine said.“Anything for our princess,"Darren said.“I&apos;m not princess," Catherine said.“Fine,"Darren said. I opened the box.“I changed my mind, I don&apos;t want to eat,"Catherine said. I really love pizzas but I really eat a lot of it when I&apos;m hungry. Maybe I&apos;ll just eat later. “Hey,"KC said.“I really want to eat, maybe I&apos;ll just eat later," I said.“Okay,"KC said. “What&apos;s the problem?" Darren asked. Then I left. I went to my room and locked the door. I just need to have a little space to think. Everything is happening so fast. I just came here. It&apos;s pretty amazing and terrifying. What will happen next? It&apos;s just so scary. Kurt came back to say sorry. Now I need to have an official boyfriend in 2021. It&apos;s really impossible for someone to fall in love with me. I wished it would be Chris but really impossible. I&apos;m a decade and almost 2 years younger than him. See? That&apos;s really impossible. He&apos;s popular and I&apos;m not. There are many differences between us. Can I just forget it? Then someone knocked and I just ignored it. I don&apos;t care whoever it is. I wished I never said that I should have an official relationship in 2021. I can have fake one. Do you think it&apos;s a bad idea? I&apos;ll just stop thinking about it. Then I went out. 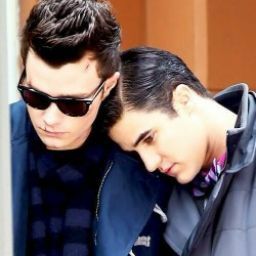 “We need to go,"Chris said.“Sorry,"Darren said.“I guess we&apos;re seeing tomorrow," I said.“We will,"Chris said.“Goodbye. Don&apos;t forget to text me," I said.“Of course. 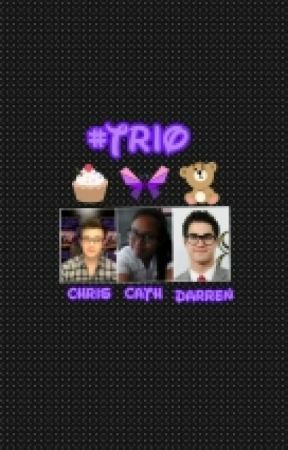 We will,"Darren said. Then they left the apartment.